While we want to indulge in favorite Halloween treats, we also want to be mindful of what we are snacking on throughout the day. This is a fun way to demonstrate the balance in activity and diet. 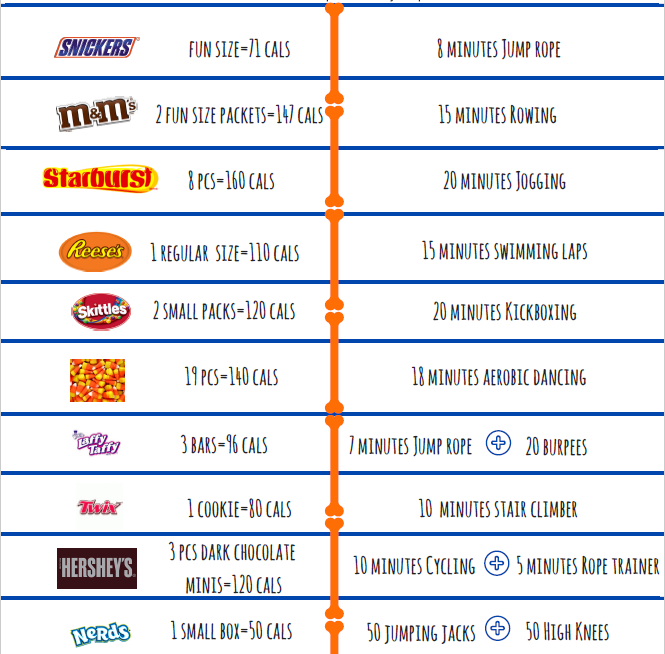 For this challenge, try to perform the workout associated with the candy eaten. Grab a friend or colleague to join you in the fun! *Exact calories burned depend on body composition.